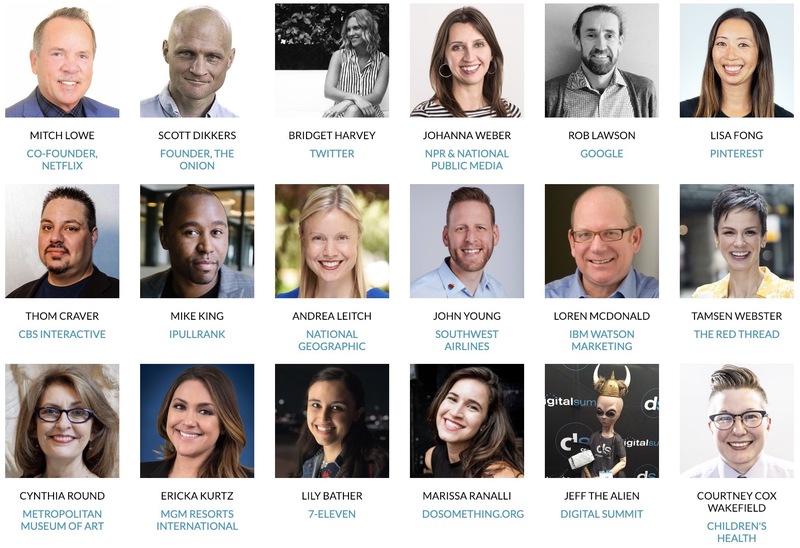 65+ in-depth sessions & workshops will not only help the attendees stay ahead of the latest digital trends but also provide them with lots of practical, game-changing takeaways they can immediately apply to their marketing strategy. The visitors might need a second brain to pack it all in. Summit-goers can learn directly from the brands and thought leaders who are making the biggest impact on the world’s economy — now and into the future. They will be able to get under the hood and stay ahead of the strategic curve with companies like Google, CBS, Home Depot, Salesforce, NYT, and more. It’s the all-important “hallway track.” Hundreds of seasoned marketers, strategists, designers, and more (just like you!) will attend the summit. You never know what inspiration, partnerships, or business deals you’ll leave with after two days at Digital Summit.